Call Us Today on 01202 892111 to enquire or order! 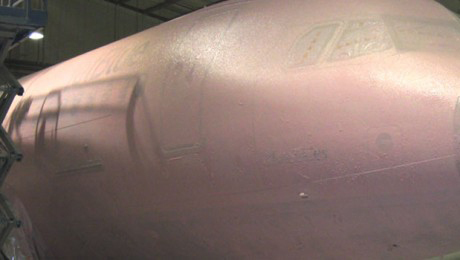 This aviation coatings remover is a new generation paint stripper activated by hydrogen peroxide. 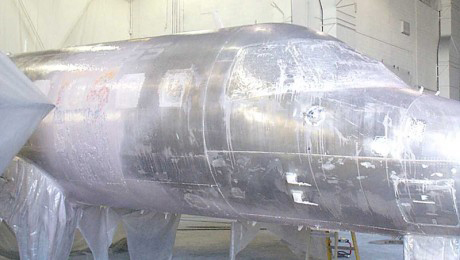 This product is particularly adapted for epoxy, polyurethane and alkydurethane paints. It is not corrosive and does not embrittle any aeronatuical metal except magnesium alloy. The product is free of phenols, chlorine and hexavalent chrome. Limits the risks for health, safety and environment usually linked to paint strippers containing dichloromethane, phenols, chromates or acids. Socostrip A0103N is approved and used by a number of aviation agencies. Airbus, Airbus France, Boeing, Dassault Aviation, Cessna, ATR, Eurocopter, DGA (French Army), CAAC, Hawker Beechcraft, Embraer. Available in 20 litre drums – no minimum order required. This aviation paint remover is a new generation paint stripper activated by hydrogen peroxide. Free of phenols, chlorine, hexavalent chrome. Limits the risks for health, safety and environment usually linked to paint strippers containing dichloromethane, phenols, chromates or acids. The viscosity has been adjusted to ease manual application or “airless” spraying and to cover all surfaces perfectly, even vertical or overhanging. Compatible with aluminium, titanium and steel alloys. SOCOSTRIP A0105N removes all paints. It is particularly adapted for epoxy, polyurethane and alkydurethane paints. It is not corrosive and does not embrittle any aeronautical metal, except magnesium alloy. SV-35 PMA is no longer being manufactured. The Socostrip A0103N from Socomore works in the same manner but has a shorter shelf-life. (please call for MSDS and TDS). 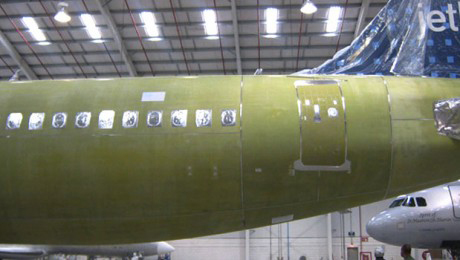 Non-corrosive Aviation Paint Removal - doesn’t burn skin or destroy personal protective or other equipment Very low VOC content Near-zero evaporation means constant supervision and re-application are not necessary 100% biodegradable Lower costs through reduced man-hours and waste disposal charges. Read all about our latest news and reviews right here on the Cirrus Systems website. Next working day delivery available on orders placed before 11am.